Lots of people have the same questions about Egyptian cotton. What is it and how is it different from regular cotton? Is it ancient? Have they been using it for thousands of years, since the time of the pharaohs? Let's dive in and get some answers. 1. Egyptian cotton not ancient. First up, let's talk about how old this material is. The truth is, Egyptian cotton is NOT actually ancient. It hasn't been around for all that long. In fact, commercial production of cotton was introduced in Egypt by a man named Mohammed Ali in 1822. 2. Egyptian cotton sheets purchased in Egypt might not fit your bed. Heads up, travelers! Bedsheets bought in Egypt might not fit your bed. Bed and pillow sizes around the world are not universal, so if you buy them there, be sure and bring along a measuring tape. 3. The fibers are longer than normal. Now we come to the main difference between regular cotton and Egyptian cotton: The fibers are longer. Why is this important? Longer figers give the material its smooth, luxurious feel. Think about it--if you weave one sheet using really long strings, and you weave a second sheet using really short strings, which one do you think will hold together longer? You're right if you guessed the long strings. The long strands won't lift up and apart in the washing machine and with regular use the way short ones do. Also, they will pill much less over time. If Egyptian cotton isn't ancient, you might be wondering, what were all those white outfits made of that ancient Egyptians are pictured wearing? We see women portrayed in long dresses and men in those kilts. Also, mummies had to be wrapped in strips of white fabric. But what was the fabric made of? The answer: linen, which is made from flaxseed plants. 5. The American Civil War popularized cotton. Here's a fascinating fact. 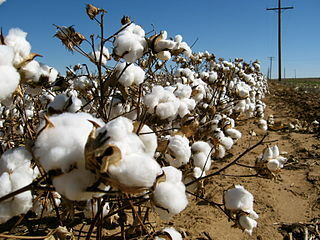 The 1861 American Civil War is responsible for the success of Egyptian cotton! During the civil war, people were unable to make cotton in the United States. Production ceased for several years. Yet people still needed cotton for clothing, sheets and more. When Amerian production shut down, it allowed the Egyptian cotton industry to explode onto the world markets. There you have it. 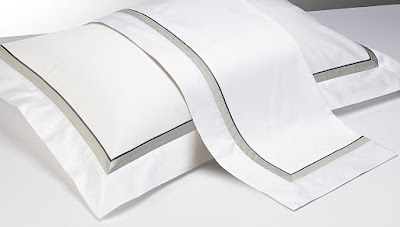 I hope I've answered your questions about Egyptian cotton with these five amazing facts.